It's not the most beautiful example, but it's real life! One of the most challenging things about teaching at a Montessori school is how we track the work that our students do independently. I'm a huge believer in best practices, and I looove to observe in other Lower El classrooms. Unfortunately, there are not many Montessori schools in our area, so we thought we would host a virtual observation! Every teacher has come up with their own tracking system, and we'd love to hear about yours! We'll start it off by sharing our system, which we tweak from year to year. 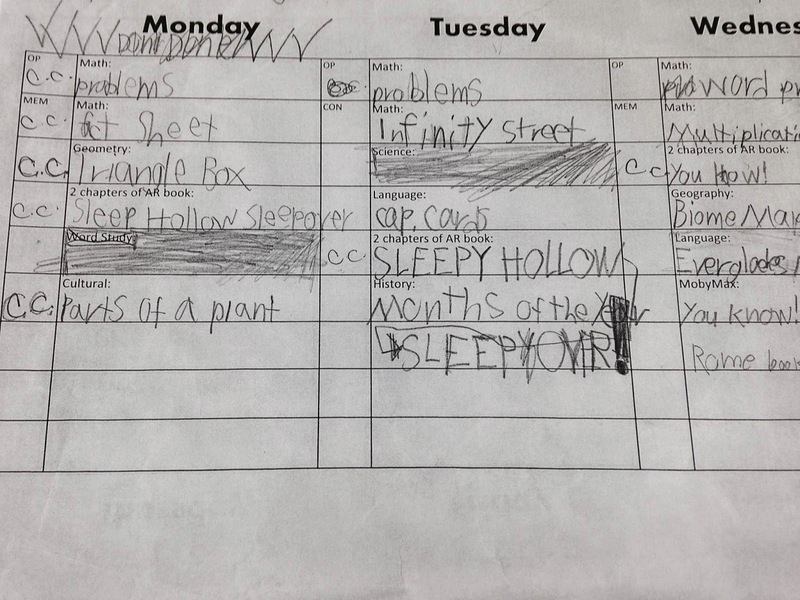 We have a weekly plan, which varies a little for each grade. The students fill in a choice for each category on the plan when they come in the classroom each morning. They get to fill in the blank lines with their choice of lessons once they have completed the category choices. We started choosing categories for them to help ensure that they chose lessons in all areas each week. When a student finishes a work, they show it to a teacher, who signs it off for them. Then, we noticed that certain students would get really attached to a certain lesson and do it over and over and over and over... you know what I'm talking about! Now, repetition is beneficial, but you know when a student is doing the same lesson over and over because they are too comfortable to choose another work. So, we made a work folder with sign-off sheets that allow us to track how many times a student has done a certain lesson. There are four boxes to sign for each lesson, and we tell the students that once they have done the lesson four times, it is time to choose a different lesson in that area. 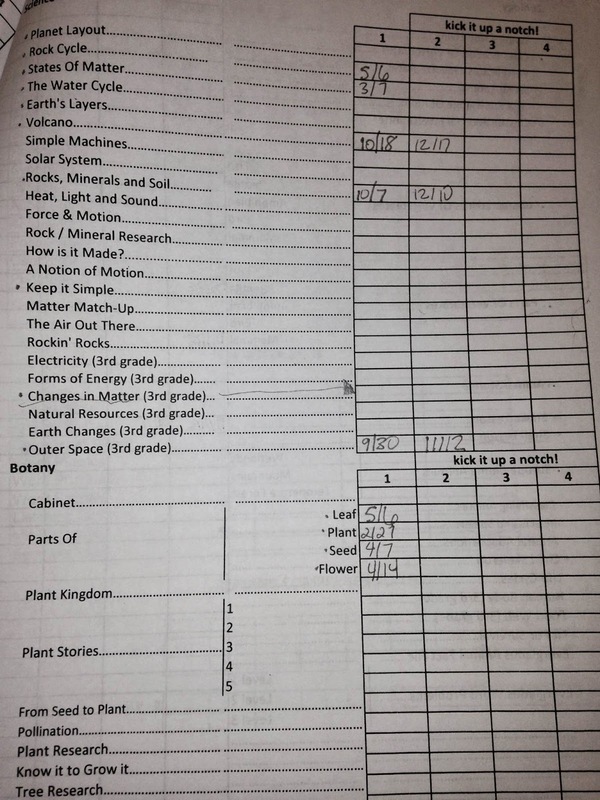 The sign-off sheets are mainly for cultural lessons, and we break them down into small categories, for example, the Timeline of Life layout is divided into the Paleozoic Era, Mesozoic Era, and Cenozoic Era, so the students can do each era layout four times before we guide them to another lesson. If a student is really attached to a certain lesson and wants to keep working on it, we encourage her/him to start a project about that topic. More on projects to come later! So, that's where we are with our work-in-progress! Again, we'd love to hear what works for you! Hi- Thanks for stopping by! I'll email it to you! THANK you for this blog, I need more ideas always! 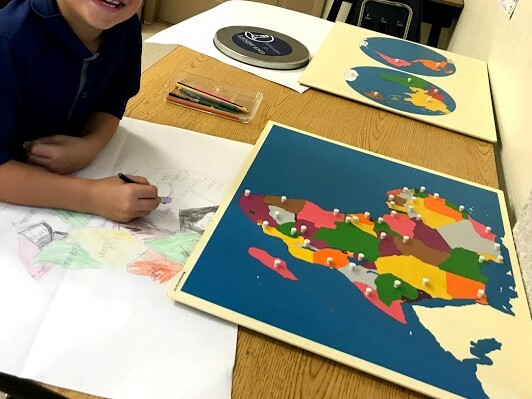 Yes, public Montessori is awesome, but provides its own set of challenges as well! I love your idea of taking pictures of the student's work and color coding your days- brillant! Thanks so much for sharing your system! Hello, would you be willing to share both of these files? I am a first year Montessori teacher and I'm looking for very simple work plans. I love that you provided a real life example of how the students use the work plan. Thanks for sharing, I love your blog! Hi- I apologize for the looooong delay in responding! I have both of these files in our TpT store- the weekly plan is a free download. Our goal is to provide as much support for new teachers as possible (I remember how much I longed for Montessori sources and contacts as a new teacher). Please let us know if there are any other questions you have!